Words To Live By With Craig Groeschel - Your thoughts can hold you back, push you down, and feed you lies. But they can also lift you up! So, Craig Groeschel, senior pastor of Life.Church, wrote down some truths he reads every day. Start reading to see how these words changed everything for him, and find three simple steps to discovering your own Words to Live By. Your thoughts can hold you back, push you down, and feed you lies. But they can also lift you up! 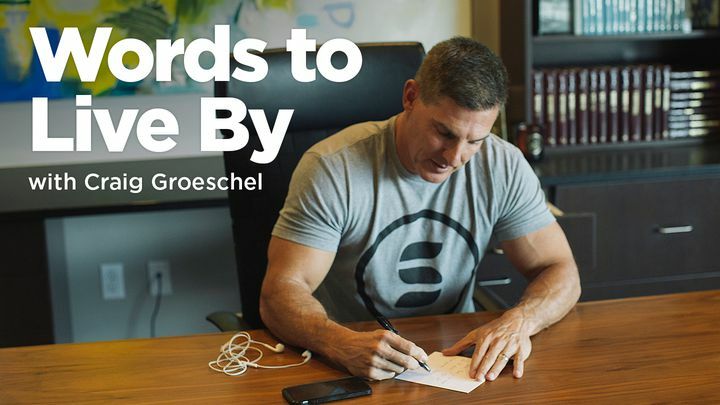 So, Craig Groeschel, senior pastor of Life.Church, wrote down some truths he reads every day. Start reading to see how these words changed everything for him, and find three simple steps to discovering your own Words to Live By.